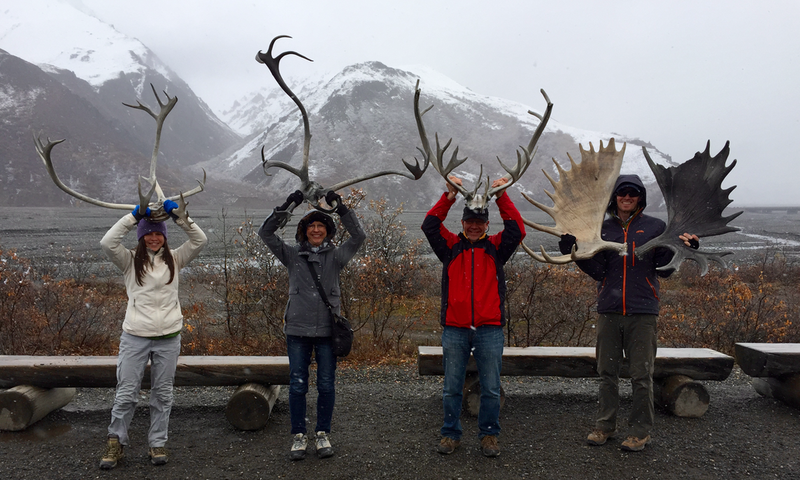 We headed into Denali National Park with Amanda’s parents while they were visiting. 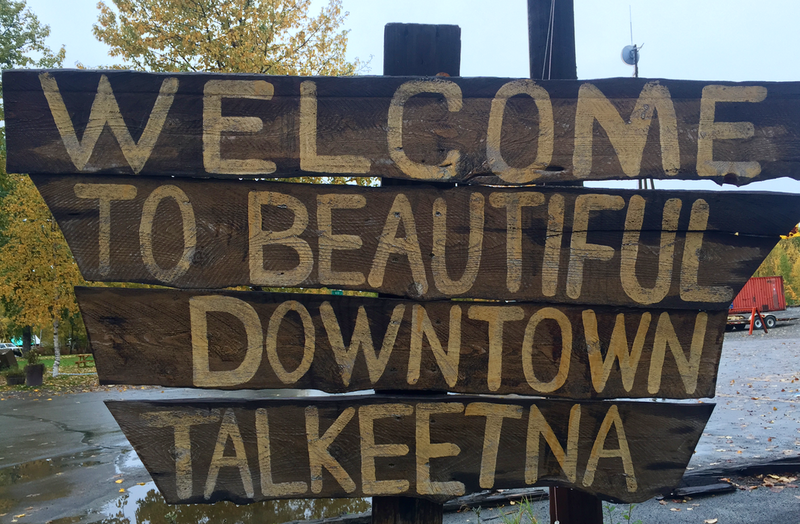 On our way, we stopped in the town village of Talkeetna. It is a fantastic place to stop. They have every adventure necessary. Want to go fishing, someone there can arrange that. Too easy? Take a helicopter tour of Denali, they do that here as well. We just stopped at a cool little coffee shop. We were at the tail end of the season, so some things were closed, and the traffic was pretty minimal. The weather was not too bad, but with lots of clouds, actually seeing the mountain did not seem like a realistic thing that was going to occur. While that is always a goal of people that are visiting the area, we have been lucky to see it on clear days while fishing nearby. There is still so much to see and do that the actual mountain might be better off imagined. We boarded our bus early the next day and settled in for what would be an 11 hour bus tour. If you travel into the park in your own car, you can only drive in the first 15 miles. The buses were great. We didn’t have to drive, we could eat, and the bus driver was knowledgeable and entertaining. This is a great way to see the park and the inhabitants. 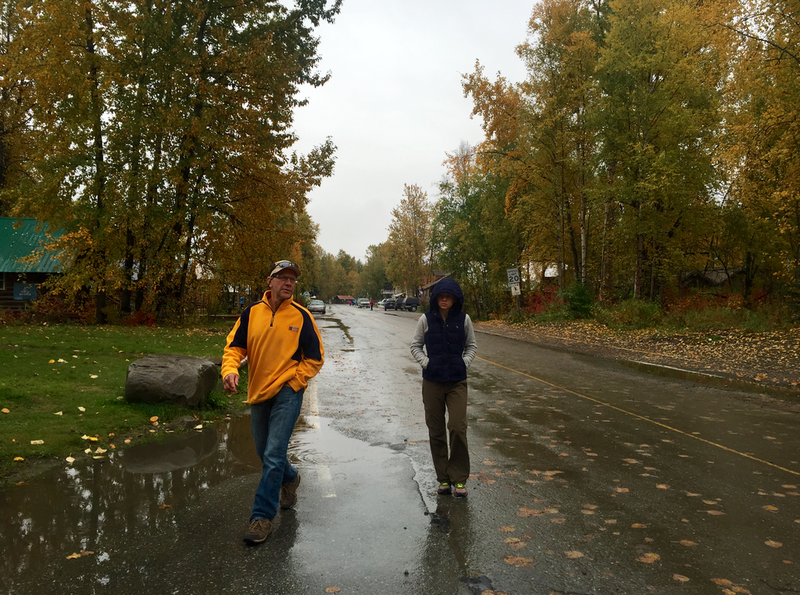 The weather that we had experienced in Talkeetna was worse/better/bigger/different the next day. Everything is larger and more extreme in Alaska. The weather is no exception. Where there was rain the day before it was heavily snowing on us in the park. 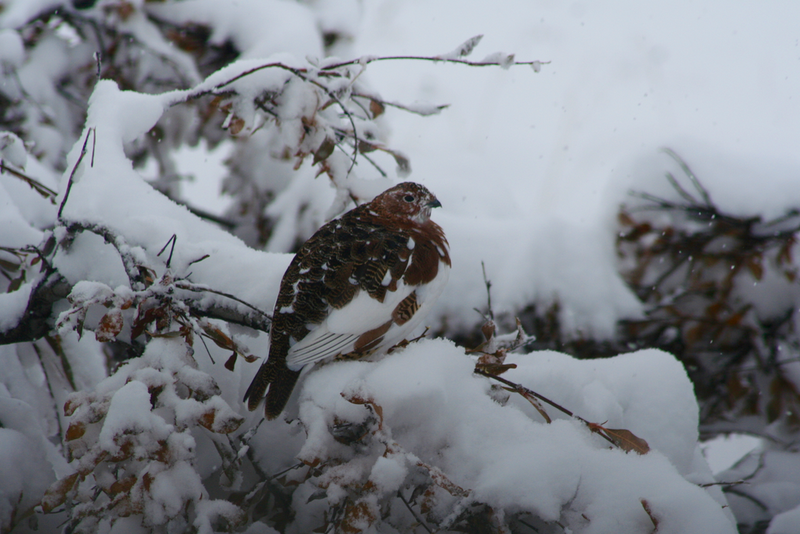 It was very beautiful to see a lot of the area covered in snow. The biggest concern was that the roads would be impossible to use in some spots. We were going on the last day of the season. We got to Savage River and were told that it might be the end of the line for us. We were 15 miles into an 85 mile trip. 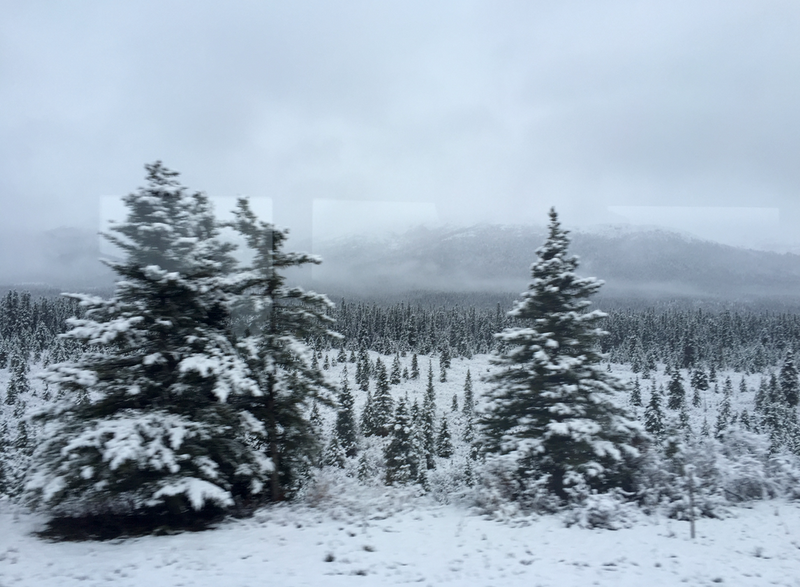 We waited here, saw a few bears, made a snowman, and were told to get back on the bus, we were continuing forward. 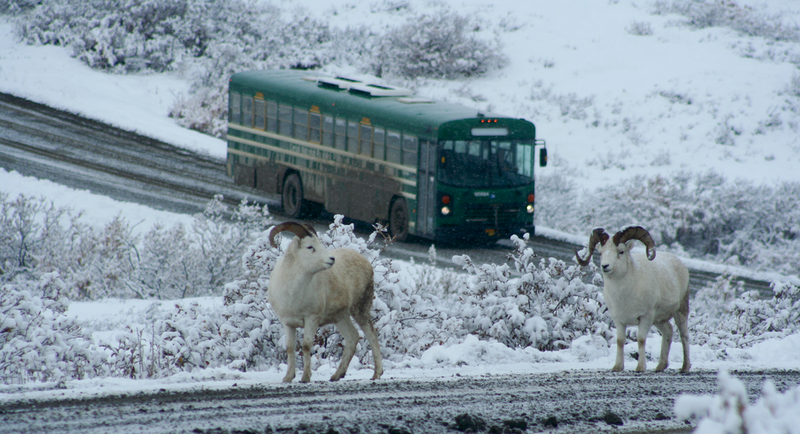 The wildlife is used to the buses. They know that the buses are not a threat. We were able to see animals acting very naturally. It was the people that were funny to watch. 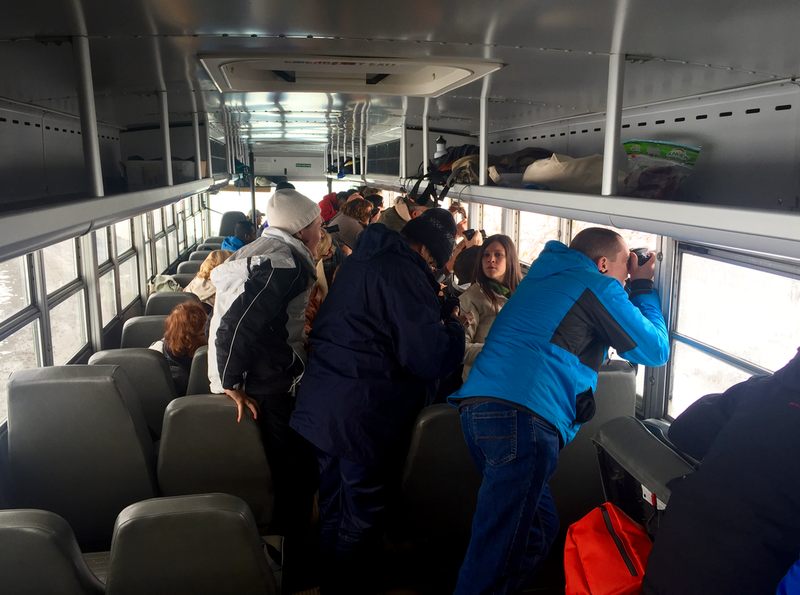 As soon as someone spotted an animal, the bus would stop and try to get us into a good viewing position. Everyone ran to the side where the animal would be. The sound of fake shutters clicking was entertaining and the animals didn’t seem to mind. Mostly everyone was respectful and kept their arms and hands inside. Every stop was amazing. The roads were cleared and we were told that we would make it all the way to the Wonder Lake Campground. Every time we got out of the bus, we were blown away. Mostly with the views, but sometimes by the wind. 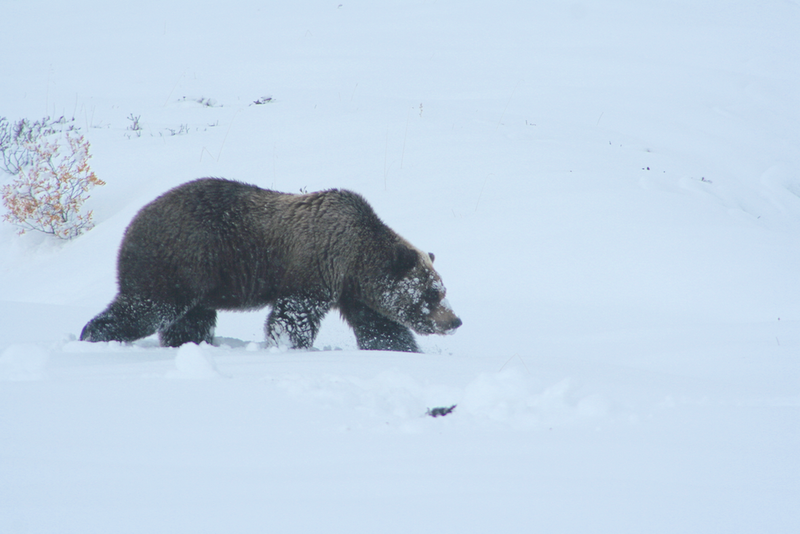 That was our visit to Denali National Park. It was outstanding and everyone visiting Alaska should try to get out there to experience it. Thanks for reading.